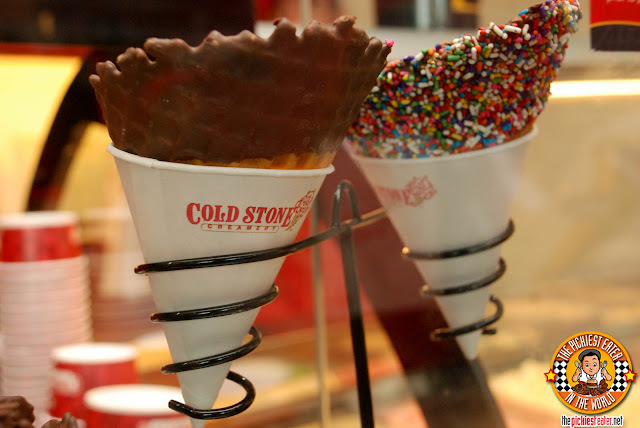 What could be more perfect this summer than an awesome ice cream place opening at the heart of The Fort? Nothing!!! 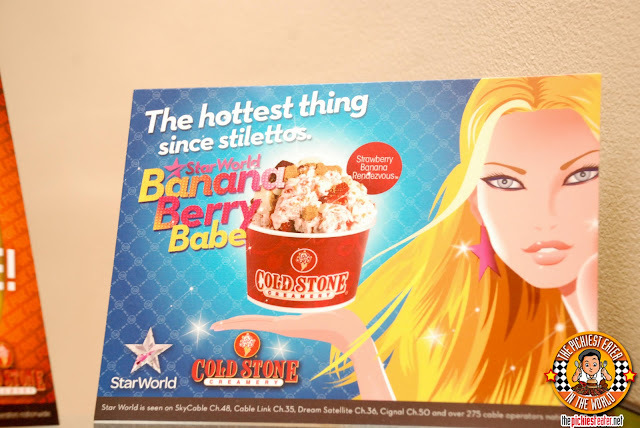 Cold Stone Creamery is a premium ice cream brand that serves fresh, smooth, and creamy ice cream with an outstanding and wide variety of flavors you wouldn't believe. 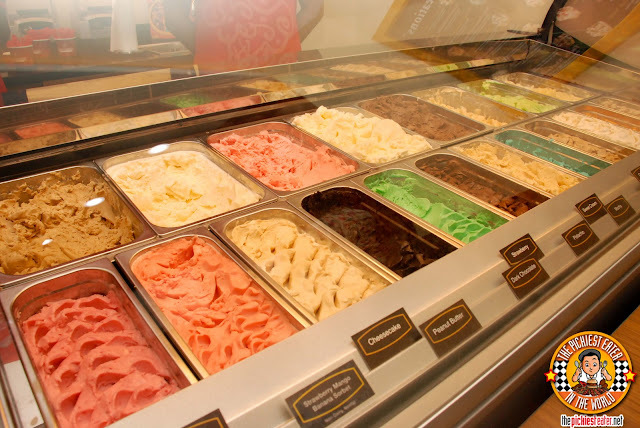 Their ice creams have a special formulation of premium milk, cream, and buttermilk fat. (Sounds good already!) It originated in Scottsdale, Arizona and is now here in Manila! 22 fresh flavors of ice cream and sorbet made fresh every day. I can imagine your heads exploding with delight hehehe! The possibilities are really endless! You can choose from different cup sizes. I like how they named their sizes. 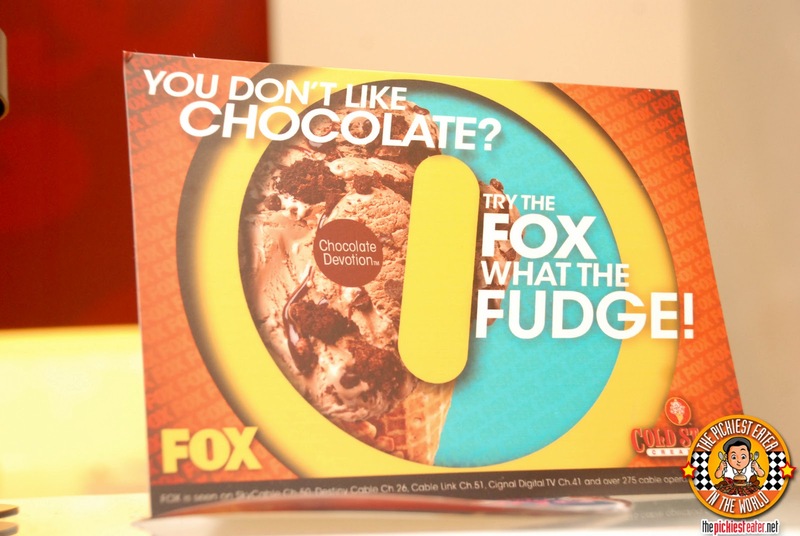 You can also have it on a waffle. 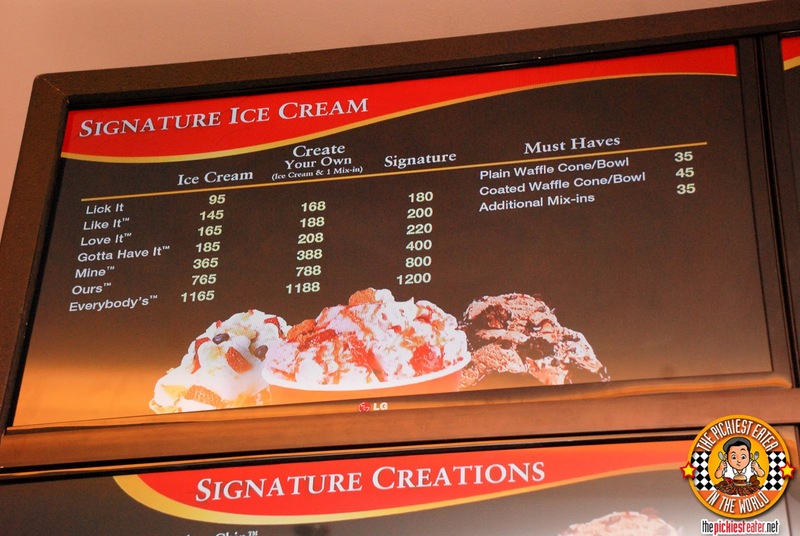 From plain waffle cone / bowl (P35) , to coated waffle cone / bowl (P45). 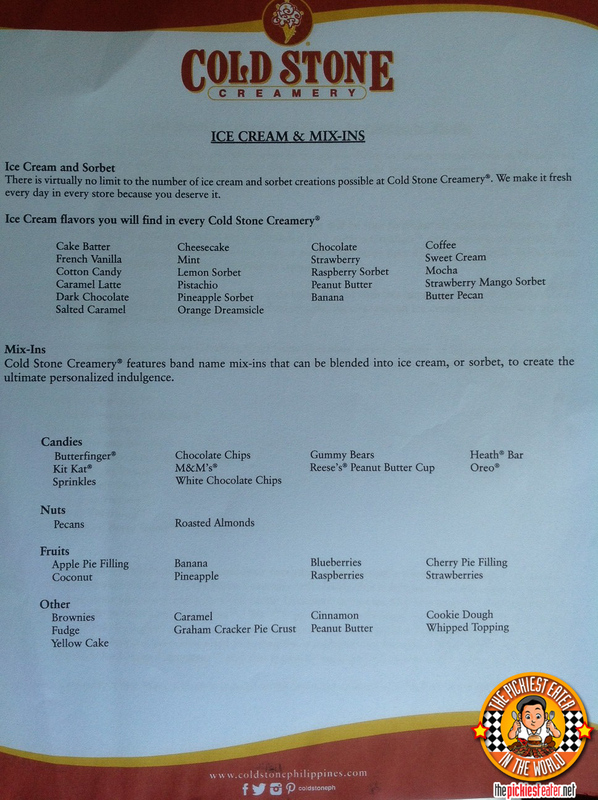 The customer chooses their ice cream / sorbet and mix ins. 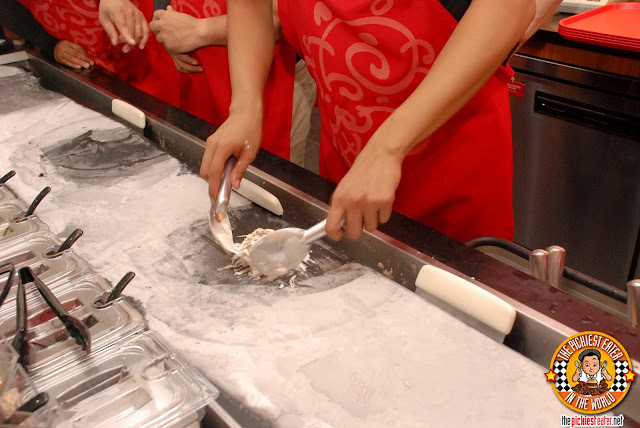 And then the crew mashes them together on a granite stone chilled to 16 degrees Fahrenheit and places it in the cup or waffle. Then presents it to you with a smile! 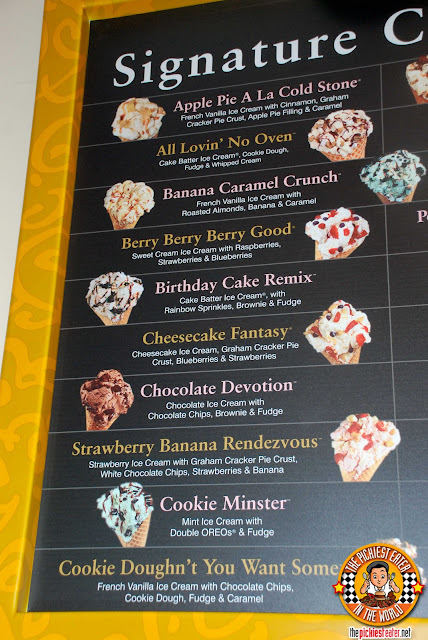 So anyway, I fell in line to order and thought of what flavor and mixes I can create. 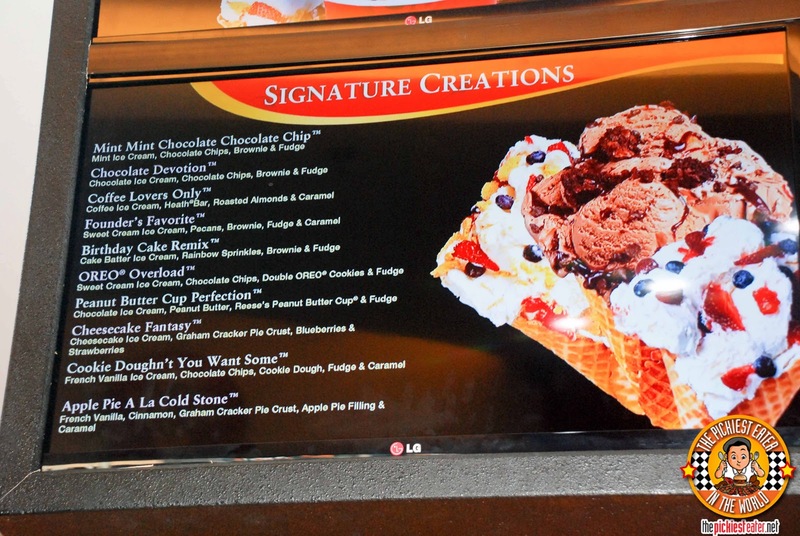 But once I saw the list of their signature creations, I was baffled! It made me want to try it all first before I attempted to create my own. It's like Sophie's Choice! So hard to choose! Get what I mean? They serve a variety of Signature Creations. And the ones mentioned in the two photos above is not the complete list. I'll show you later the complete menu. I got an All Lovin', No Oven! I had the All Lovin' No Oven in a Like It size (P180). Forgive my melted photo. It was really a hot day and we were seated outside so it was perfect for me (not for my pictures hehe). 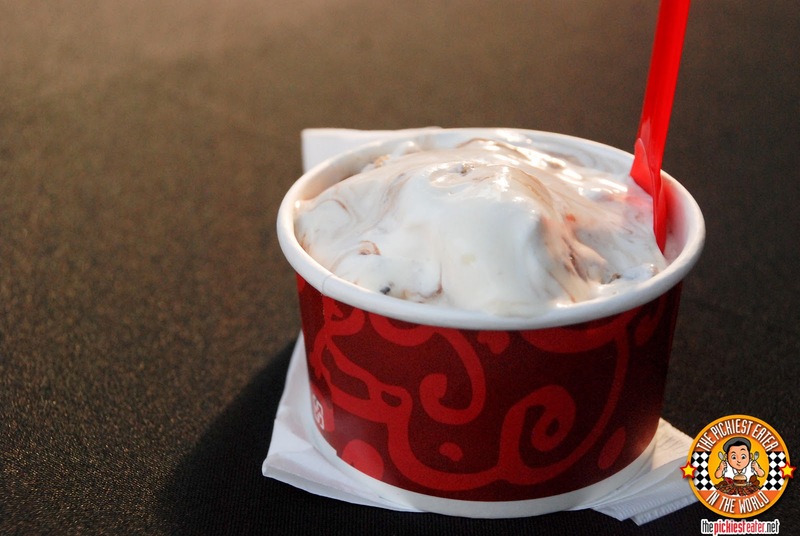 It's made of cake batter ice cream, with cookie dough, fudge, and whipped cream. 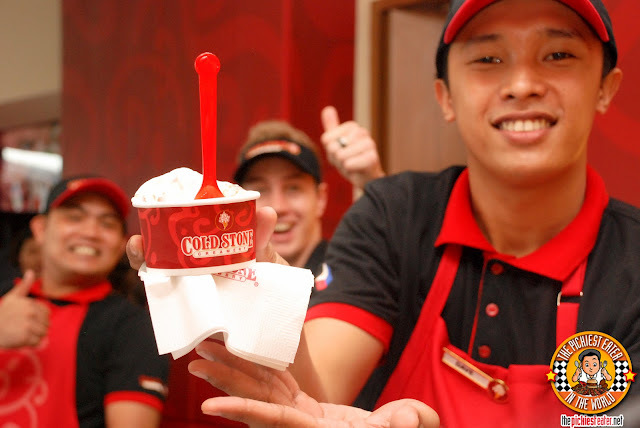 It really screams comfort ice cream! 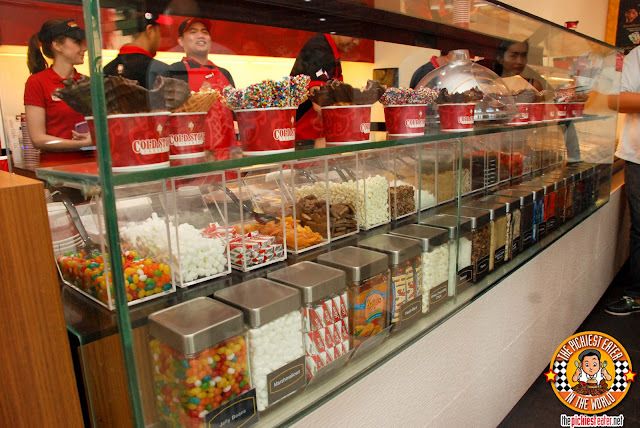 If you have a sweet tooth you will really love this. 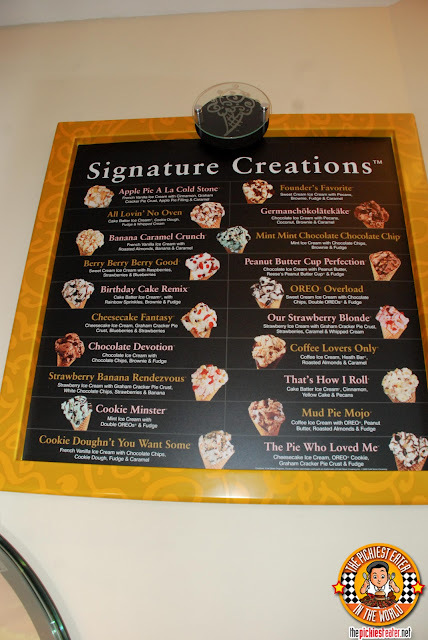 But personally the cookie dough chunks were too sweet for me. But that's just me. 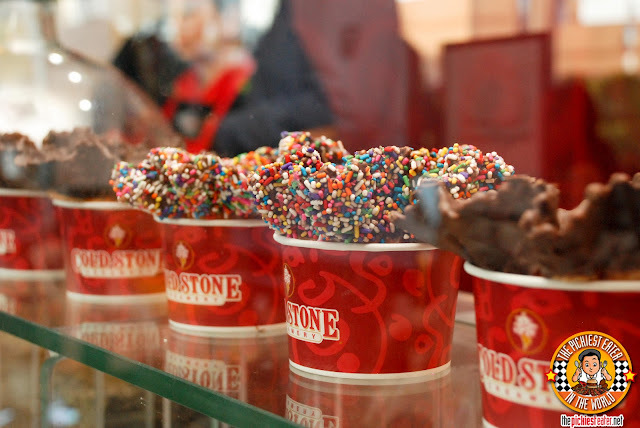 But the Cake Batter ice cream was perfect! My friend Gerry's Dark Chocolate with brownies! 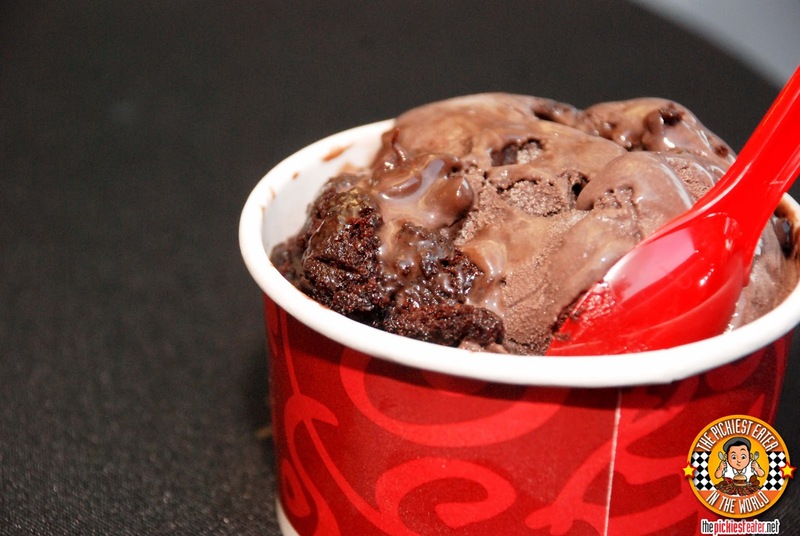 I was also able to try their Dark Chocolate with brownies. Actually it was my friend Gerry who tried it and I just took a bite hehe. I was so full from my All Lovin' No Oven. It was really good! I love dark chocolate and I looove brownies! 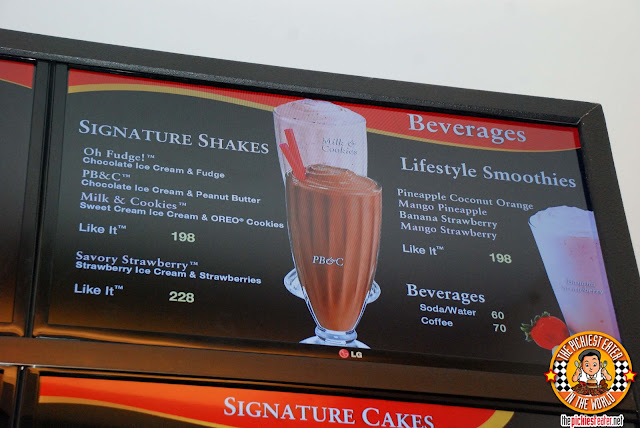 And of course where there is ice cream, there are shakes and smoothies! And signature ice cream cakes! Oh my! Any birthday with a Cold Stone Cake is a happy Birthday indeed! The launching of the store was jam-packed that I totally forgot to take photos of the interiors. There was a lot going on! 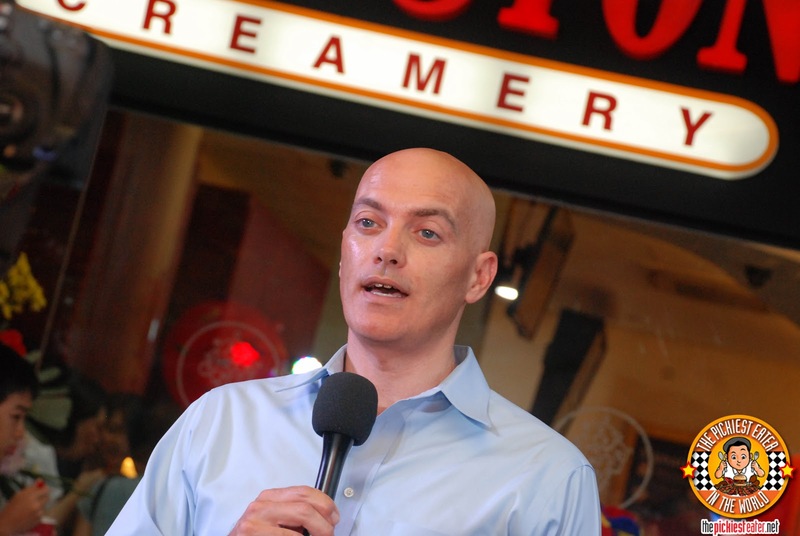 The staff can also do some barista moves where in they throw a scoop of ice cream in the air and another staff catches it with a cup. I had a hard time taking a video of it because every I saw it, it's already in mid air hahaha! 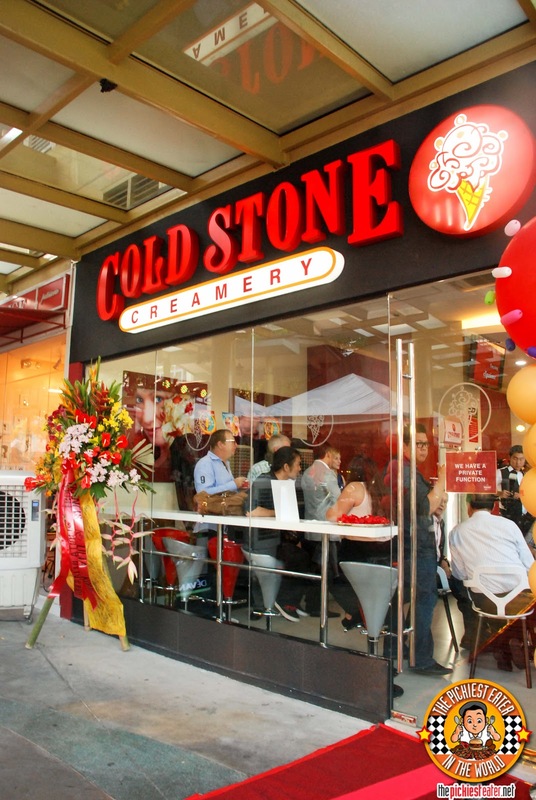 Cold Stone Creamery is located at Serendra, Bonifacio Global city, Taguig City, 1634.
is this the same as cold rock before just rebranded? or totally different? i love to try the dark chocolate and thebrownies! 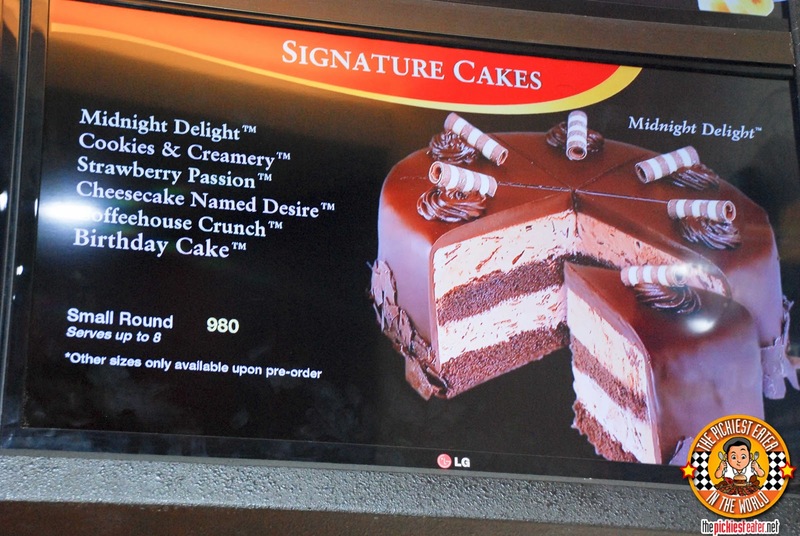 I agree with nicole, mejo pricey cia, though I have been eyeing this everytime I am around the area before. Didn't know that this opened recently. despite of the price, I still want to try since everything looks yummy! i love every cuisine that you feature on your blogged :) mukang masasarap ska budget friendly. 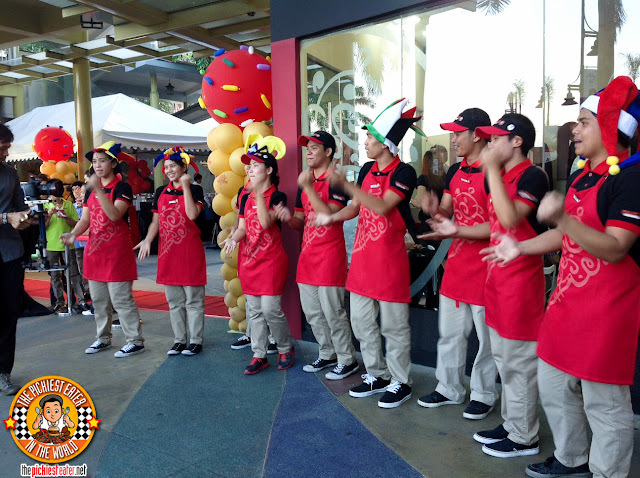 helpful ang blogs m pra mgka idea kmi sa taste at cost ng food.. Finally! 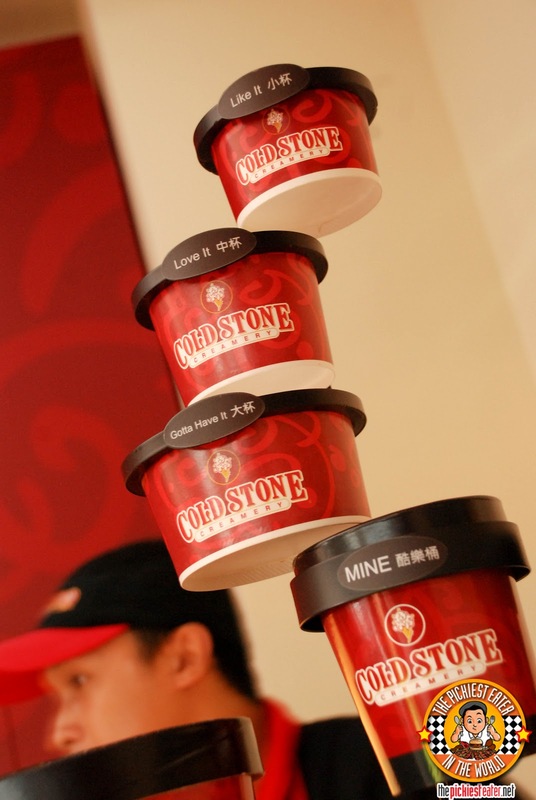 They brought Cold Stone here. Heard that Baskin Robbins is going back to Manila. More ice cream choices here in Manila! Best cooler for hot season!!! 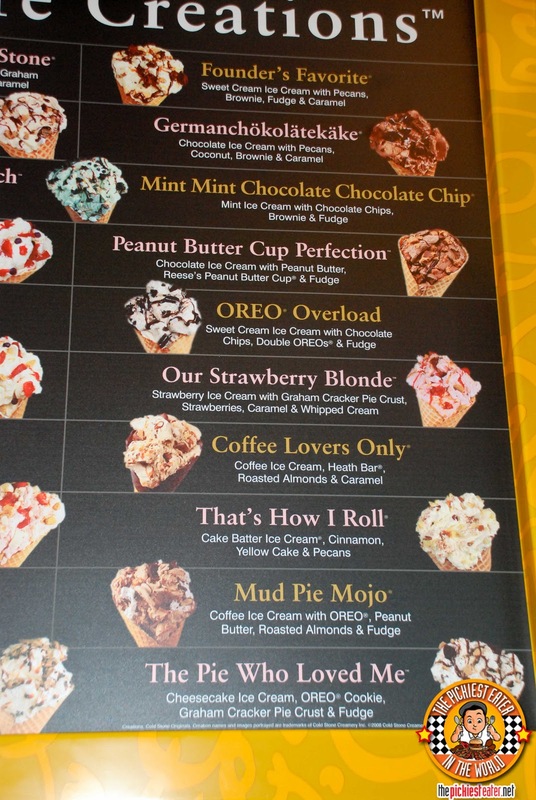 i wanna try the mud pie mojo!!! 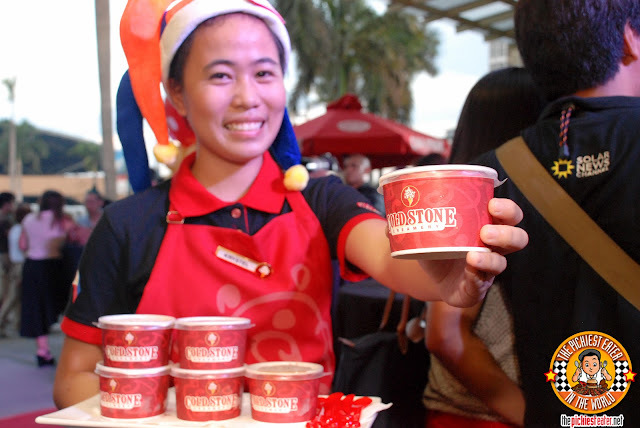 welcome to the Philippines, Cold Stone! it's been years since i had you! Wow! That looks sinfully delicious!! Can't wait to try one! So hard to choose with your signature creations!!! Gotta try them all! sarap ng mud pie mojo! yun lang. i think i will keep coming back to this place for more.